Professional baseball . . . in Pekin? Here’s a chance to read again one of our old Local History Room columns, first published in January 2014 before the launch of this blog . . .
With the return of spring comes another season of America’s pastime, baseball. For about 150 years, a trip to the ball park has been a summertime tradition. Fans in our area can drive to Chicago or St. Louis to catch a major league game, or can make a quick trip to Peoria for a minor league pro ball. 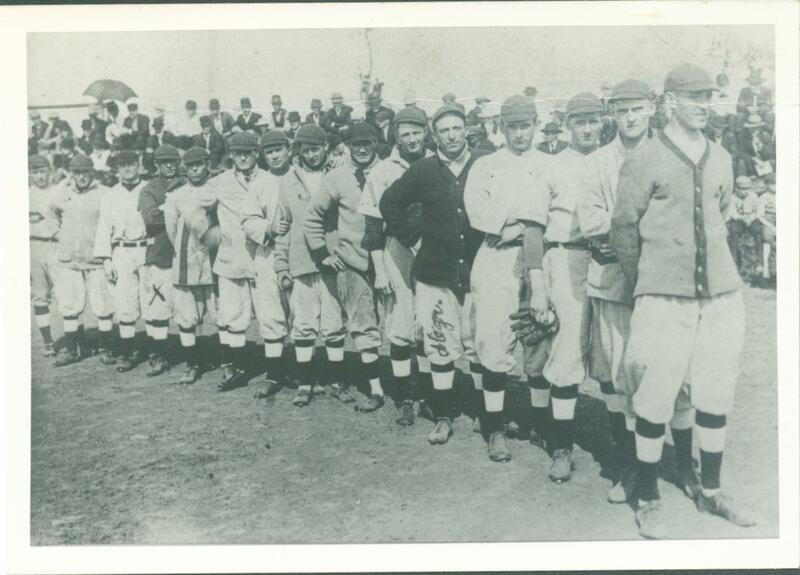 A century ago, however, residents of Pekin didn’t even have to leave town to watch a professional baseball game, because Pekin had its own minor league team, the Celestials. An exhaustive and colorful history of the Celestials was compiled by Gerald R. Sea in his master’s thesis, “The History of Professional Baseball and Professional Baseball Players from Pekin, Illinois,” which is part of the Pekin Public Library’s Local History Room collection. Sea prepared his thesis in 1972 while pursuing a master of science degree in physical education at Western Illinois University, and one of his main sources was none other than Walter “Spider” Diehl, outfielder with the Pekin Celestials all three years of its existence. “Although close to ninety years old,” Sea writes, “Walter ‘Spider’ Diehl, vividly remembered those bygone days with fond memories. 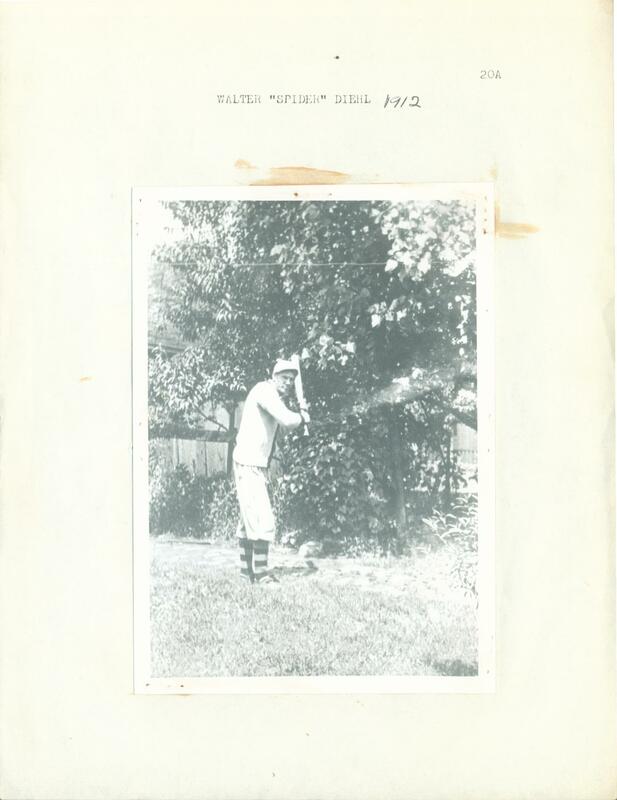 As he recalled, ‘Playing pro ball in the early 1900’s was great fun.’ ‘Spider’ could still recall the fun of playing on the road and going to the ball park from the hotel in a ‘hack’. He, as most other ball players of that period, lived in the ‘bachelor flats’ over the present Coachlite Restaurant at Fourth and Elizabeth Streets. Their favorite pastimes when not playing ball was sitting on the courthouse benches and talking to girls or playing pool at the Saratoga Billiard Parlor. . . . The Celestials belonged to the Illinois-Missouri League, or the I.-M. League. Many Celestials players also played in the “Three Eye” League, that is, the Illinois-Indiana-Iowa League. For most of its existence (1901-1961), the Three-Eye was a Class B loop, the highest level of “low” minor leagues. Some Pekin Celestials players went on to play in the major leagues. Among them were outfielder Cecil Coombs of Decatur, first baseman Clarence “Cy” Forsythe of St. Louis, first base, and pitcher Joe Jenkins of Danville. Coombs joined the Chicago White Sox in 1914, Cy Forsythe played with St. Louis’s Federal League team in 1915, and Jenkins was with John McGraw’s New York Giants for a short time during the 1911 and 1914 seasons without appearing in a game. Jenkins was called “the Arkansas Traveler” because he would tour the South playing semi-pro baseball each winter. “Joe never could win when his dad came from Danville to watch him pitch,” recalled “Spider” Diehl. Three other Celestials players advanced to the big leagues: Bill Hopper in 1910, and Martin A. McGaffigan and Jimmy Bluejacket in 1911. “Probably no pitcher that ever played for Pekin had more talent than the Cherokee Indian, James Smith, or as he preferred to be called, Jimmy Bluejacket,“ Diehl told Sea.